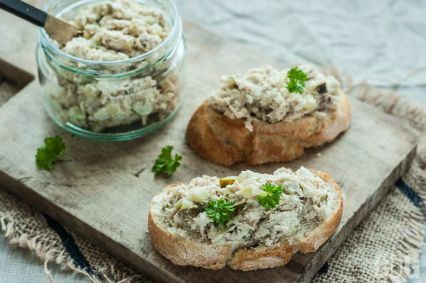 These superb mackerel rillettes are characterised by their light and open texture and the flavour or mackerel shines through without being overpowering. Make an enjoyable starter for two served on warm toast with a chilled white wine such as a Sancerres. Or if you have Family and friends round each tin serves 30 canapés (simply put a small amount on cream crackers). Storage: Store in a cupboard. Once open store in a fridge and consume within 3 days. 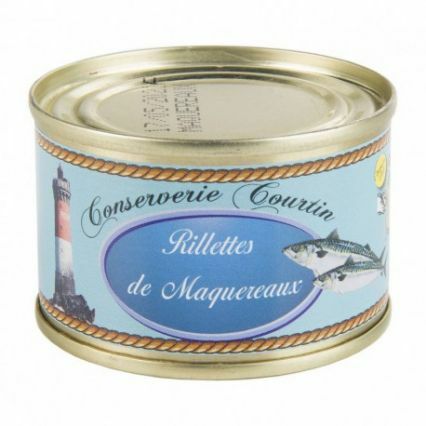 Mackerel (55%), mustard, extra virgin olive oil, milk, fresh eggs. A drop of fresh lemon or lime does not go amiss either!